I first started teaching out in Seattle about, I’d say, 14 years ago. I worked in a small independent elementary school (Happy Medium Elementary aka The Giddens School) and, over the course of a few years, worked in almost every possible capacity, co- teaching, after school programming, special programs, 4th grade, 5th grade, kindergarten. It was a wonderful place to learn the craft of teaching. I was surrounded by amazingly dedicated and inspired teachers, most of whom, seamlessly integrated their own creative, artistic selves into the task of designing curriculum. Now, I’ve never been much of a non-worker so, during our summer breaks I’d search out gigs where I could simultaneously work and still feed my desire to explore and to spend time in beautiful places. The idea of working camp just dropped into my lap. It was all of those things at once, existing in places all over the world and with a direct developmental relationship to the kind of capacity I wanted to build, inspiring young people to discovery. Again, I’ve done the range of camp gigs. I’ve been a backpacking lead, athletics director, youth development director, program developer, etc. and in all of those things it’s occurred to me this special potential, this bridge where learning can happen in the midst of a time where young people feel liberated to truly be themselves. Camp experiments with creating the illusion of boundlessness while maintaining the boundaries that keep spaces safe. At the same time they often miss the teachable moments because they are blinded by the lessons they imagine their charges should be learning. Perhaps it’s because of the majority number of inexperienced, although tremendously energetic, staff. Maybe it is because of the precarious balancing act the administration has to play in order to protect its revenue stream, by sustaining the “care-free” ideal. It could be a discomfort with or lack of capacity to train staff to recognize teachable moments and not to shy away from them. Whatever the case may be, when I see camp really working, it is a marvelous thing. I spent a couple of years working with a summer program called Morry’s Camp. The interesting thing about this project is it’s integrative goal of providing an exciting outdoor experience while recognizing the importance of making space for a social justice component, an academic tutorial piece and career internship opportunities. 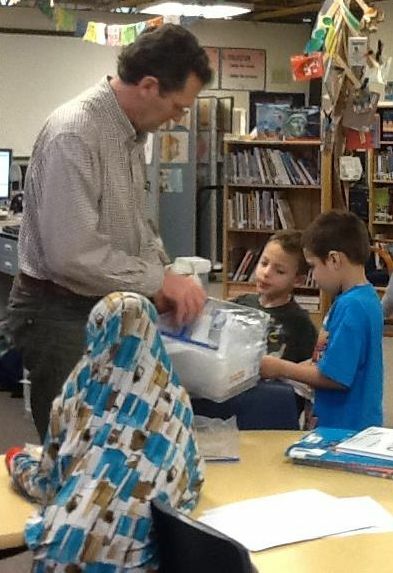 During the school year they arrange for meet-ups, field trips, etc. and, by doing this, they recognize the student as a fully rounded being and introduce a new perspective on “year ’round” education,” making recreation and emotional development an equivocal part of the process. There is a true sense of dedication to the youth as a “camper,” a scholar and a part of society at large. There are other programs which do this successfully (i.e. Outward Bound, SIT: World Learning) and as many which view summer programs as a chance for kids to “get away from it all.” I’m not one to say which of these perspectives is wrong or right but solely to draw attention to the possibilities. that, nationally (and I speak in general terms), schools model themselves as much in relationship to the evolution of student thinking as they do in relationship to the type of thinking that is required for the era, whether this speaks to market or social requirements. This being said its been quite a while since the production line model of education has been an appropriate metaphor for real world success. Alternative classrooms are not the end all and be all. In fact, at times they can be as exclusive as they are inclusive but a holistic perspective on teaching engages the array of different “intelligences” which are required to share an educational space. 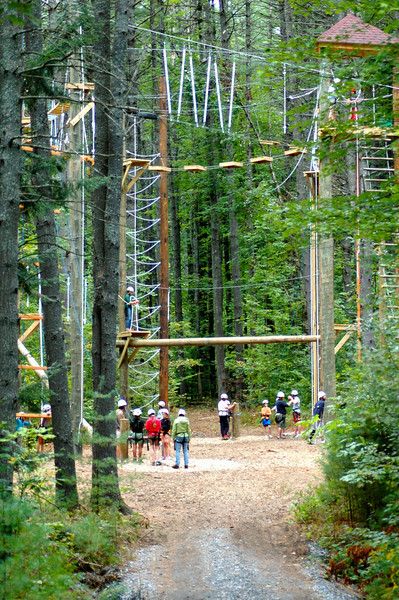 The bridge between camp and school. Historically they have been seen as a relief, one from the other. But many of the things that make each wonderful, individually, could be a welcome addition to the toolbox of the other. Who Camps? The racial, social, economic divide in the summer camp experience. It can be an easy option to presume that students have an aversion to the STEM or CCSS subject matter but more often than not, it is us who need to apply our SOAR skills to the academic endeavor with as much commitment as we show to their social development. 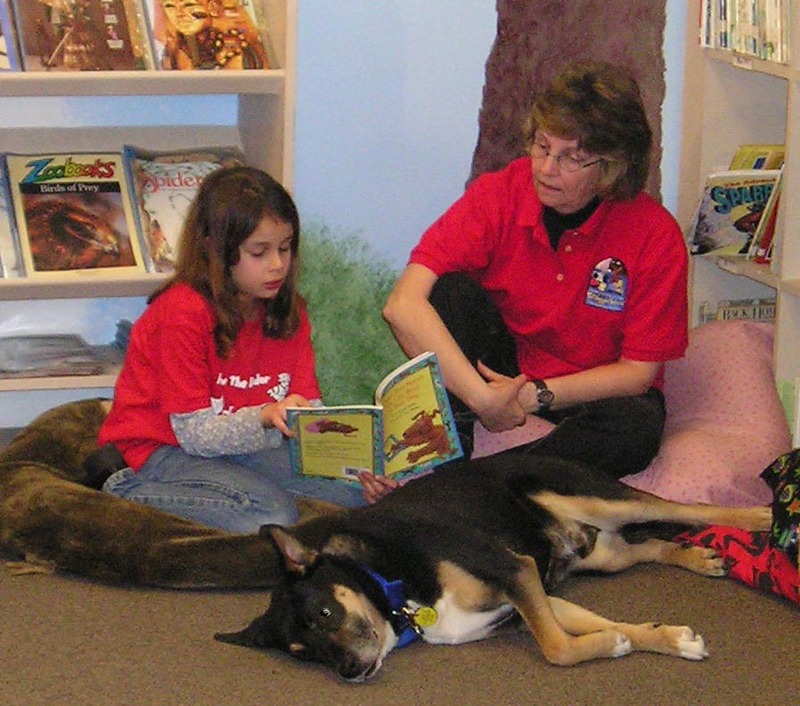 I recently learned about this library program which provides an opportunity for children to read to service dogs. Recognizing that sometimes it is not the action of reading that is a difficulty but instead the self-consciousness that comes from a fear of not being understood, this program provides a relaxed setting for children to read in a non-judgmental environment.